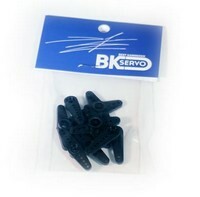 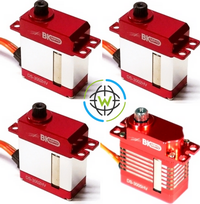 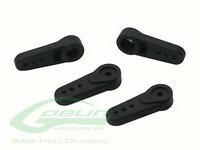 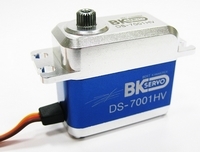 BK servos are a new product developed by Bert Kammerer, the project was started while Bert was working on the development of the Goblin 500 helicopter from SAB Heli Division. 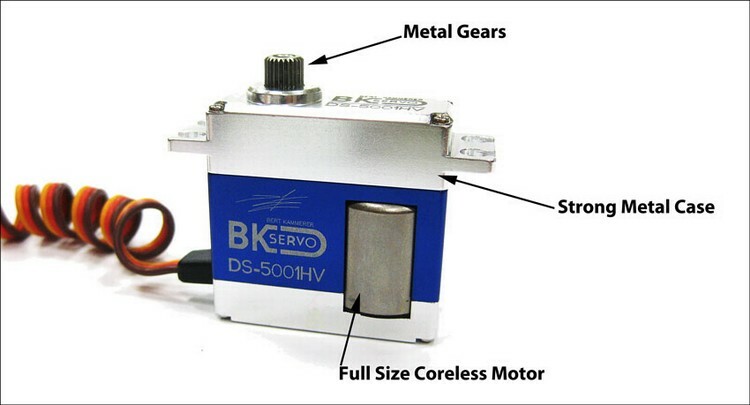 The Goblin 500 used mini size servos, but unfortunately every single one of these servos available on the market were just not what Bert wanted for testing, they either lacked speed, torque or they centered poorly. 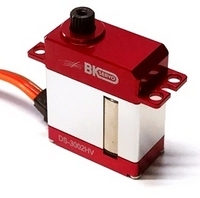 After some research, Bert realized that there was just no way to have a fast, strong and accurate servo with these dimensions, therefore the solution was to use a full size servo motor and fit it in a mini size servo case! 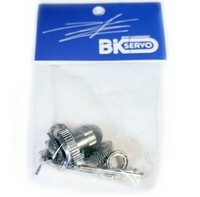 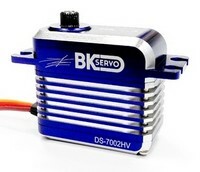 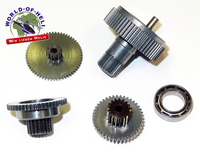 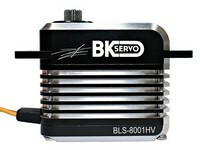 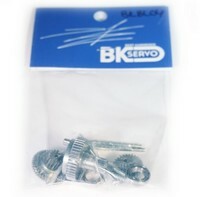 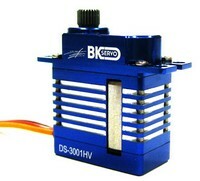 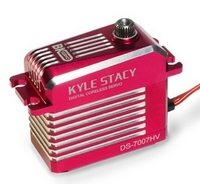 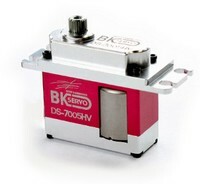 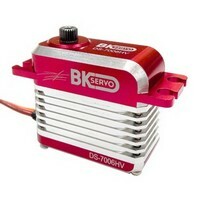 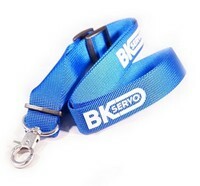 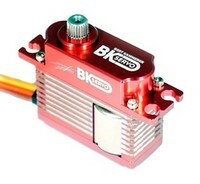 The BK mini servo employs a full size motor in a mini case, this allows for blazing speeds combined with good centering and plenty of torque. 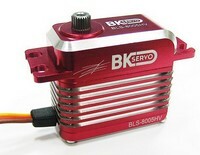 Bert Kammerer has been involved in R/C for over 29 years, helicopters specifically since 2004. 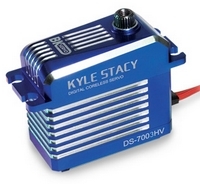 He has worked in design and R&D for many industry leaders, such as Align, Miniature Aircraft, Horizon Hobby, Outrage, SAB Heli Division and Byron Fuels to name a few. 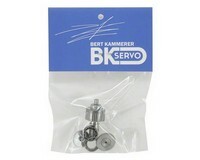 Bert has also been involved in competition. 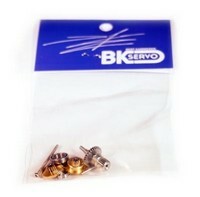 He competed at the XFC (Extreme Flight Championships) where he finished in the top 7 during 2007, 2008, 2009 and 2010. 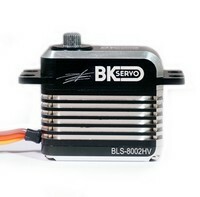 He also competed at the “World Micro Heli Cup” in Chicago finishing 4th and in the “2008 Align Cup and Competition” where he finished 2nd. 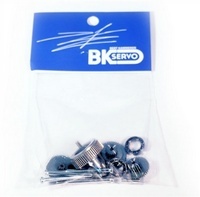 He has also taken 1st place for two consecutive at the XFC team competition and also 1st place in the Synchro Competition at “3D Masters” 2011 in the Netherlands. 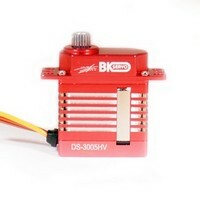 Bert currently produces a show series called “SmackTalk RC” with Bobby Watts and works as a consultant for SAB Heli Division designing and testing the Goblin line of helicopters. 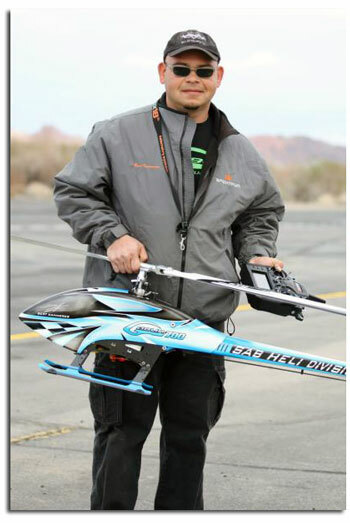 He travels all over the world performing demos and representing SAB Heli Division.